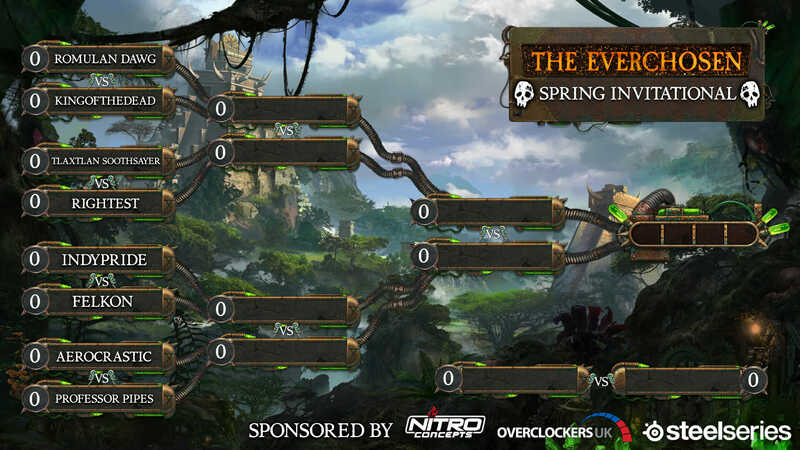 Watch the top players in Total War: WARHAMMER II go head to head to become the next Everchosen. Join for a battle gameplay exclusive of The Prophet & The Warlock, and stay for an epic tournament of strategic mastery. Hosted live from the Creative Assembly studio by top commentator Turin, Loremaster of Sotek, Italian Spartacus, and Janet on Occasion, and CA’s very own Dogbert, there’ll be brutal battles, in-depth analysis, giveaways, and cash prizes. Catch the action at Twitch.tv/TotalWarOfficial from 3PM BST (10AM ET/7AM PT) on Saturday the 6th and Sunday the 7th of April from 4 PM BST. Please note that the scheduled times for all key matches are detailed below (in BST) but these are likely to shift a little during the event. In between matches we’ll have recaps and analysis as well as showmatches featuring Total War youtubers and streamers battling it out. The apocalypse is coming… Get ready for Doomsday with The Prophet & The Warlock, for Total War: WARHAMMER II.